The vertical drop from summit to base is 4511 ft. The average difference in altitude between base and summit of Ski Resorts in Austria is 2388 ft. Most runs are therefore relatively long. The highest point of the track is 6644 ft above sea level. Season starts on Dec 7 and ends on Apr 22 (136 days). Average season duration in Austria is 114 days. Average snow depth during the season (Dec 7 to Apr 22) is 50 " at summit elevation and 24 " at base elevation. Snow coverage is usually best during February, offering an average snow depth of 62 " at summit elevation and 34 " at the base. 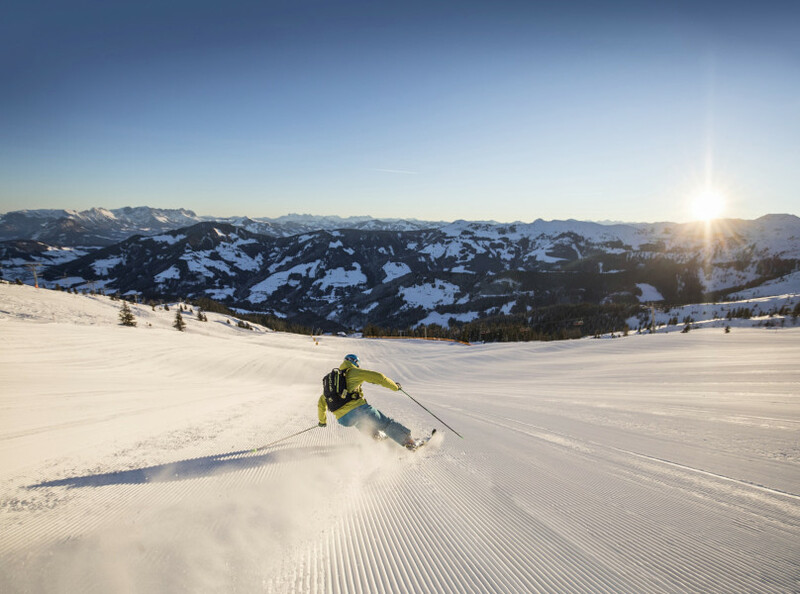 Ski Jewel Alpbachtal Wildschönau features 68 sunny days on average per season. 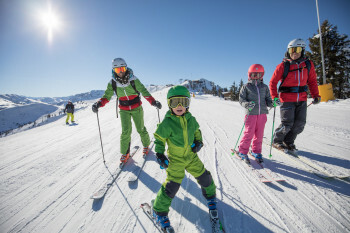 The average for all ski Resorts in Austria is 62 sunny days. February is the sunniest month with an average of 21 sunny days. This makes the ski resort one of the 10 sunniest in Austria. Two beautiful ski areas, Alpbachtal and Wildschönau, became one big ski resort in 2012. 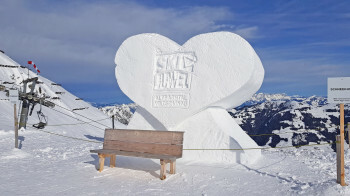 It is now ranked among the ten biggest ski resorts in Tyrol. 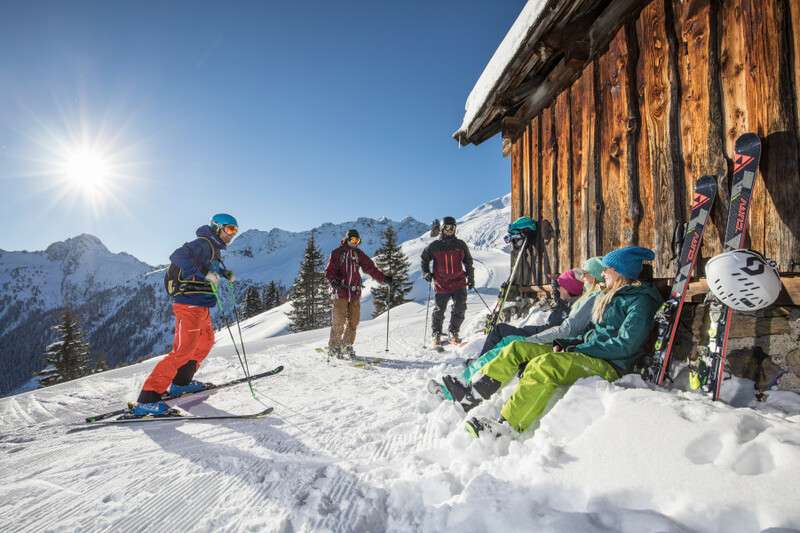 Alpbach-Wildschönau, self-declared ski jewel, welcomes with 100 kilometers (62 miles) of trails and it is especially known for its family-friendliness. 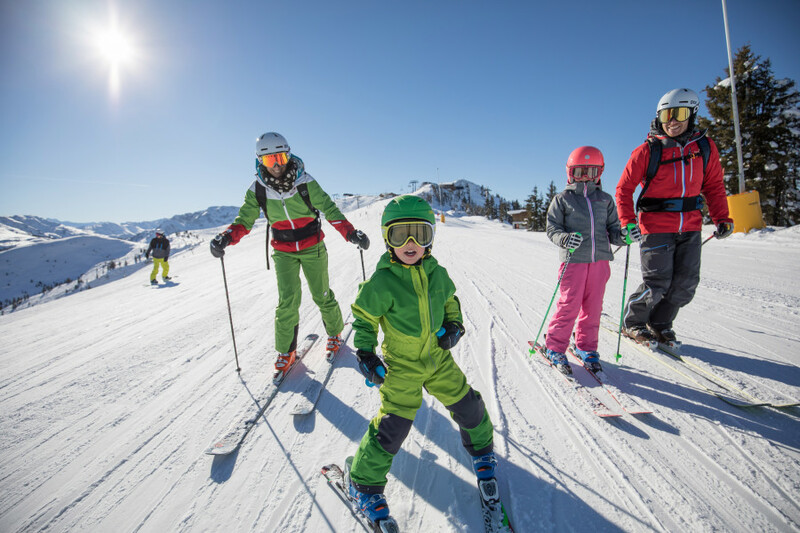 Reither Kogel´s slopes (1337 m) (4386 ft) in the area of Alpbach are considered to be ideal for families and beginners. Here are two training lifts: ´Wiesenlift´ and ´Brandachlift´. Check out the other blue and red trails that are all easy to master, even for beginners. The area is manageable in size for nobody to get lost. 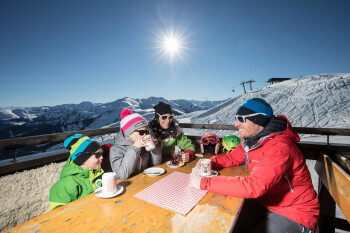 At Gmahkopf (1900 m) you find many runs suitable for families as well. 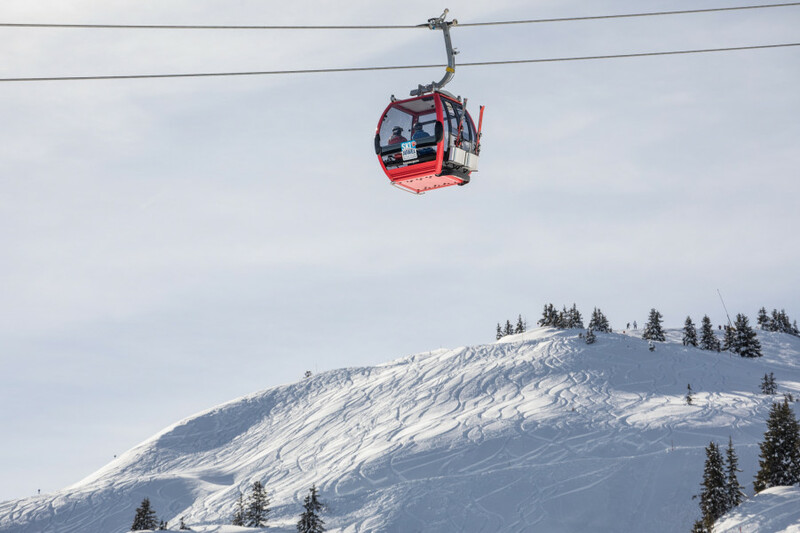 The gondolas ´Widerbergerhorn Bahn´ and ´Pöglbahn´ provide a ride to the middle of the hill and give access to pure snow pleasure. The long family slope 46 is great, give it a shot! There are some fantastic reds for those taking a more leisurely approach, examples are the slopes ´Unterhausalm´ and ´Inneralpbach´. If you are looking for a real challenge, try the black slope, serviced by ´Hornlift 2000´ or the slope off the chairlift ´Brandegg´. 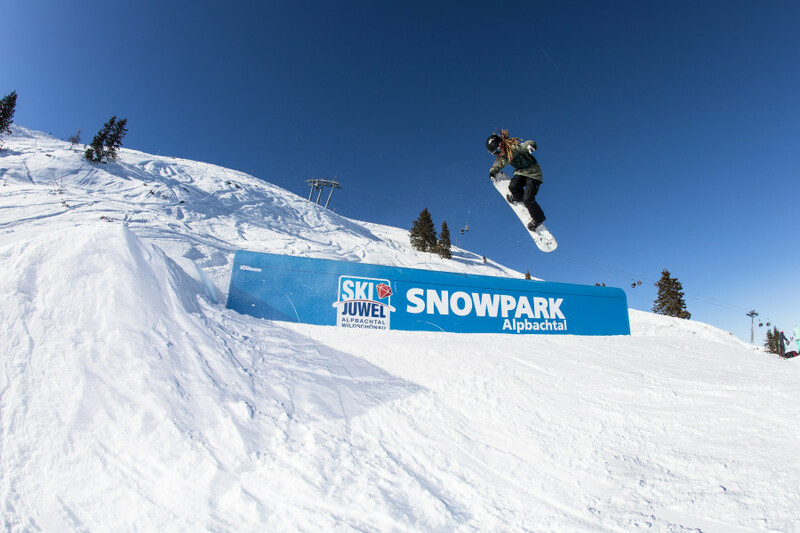 Alpbachtal features a terrain park for Freestyler, that boasts creative elements, lines and covers all difficulty levels. Next to kickers, boxes and a wave track you find a 150 meter (492 ft) long half-pipe. Those who are still not satisfied can easily switch from Wildschönau to Schatzberg and have access to even more trails. The new connection gondola makes it possible! Seven mountain restaurants in Alpbachtal will pretty much leave you tempted to stop. Gmahkopf holds the cozy restaurants ´Gasthof Hornboden´ and ´Dauerstoa Alm´. Those convince with all kinds of mouth-watering treats and ´Gasthof Hornboden´ also takes pride in its snow bar. At Böglalm you have to try ´Käsespätzle´, the famous local dish in ´the biggest pan of the mountain´. You´ll find it close to Galtenberg t-bar. An other hot spot is the mountain hut ´Kolberhof´ with its traditional local cooking, situated right at the slope that brings you back to the valley. 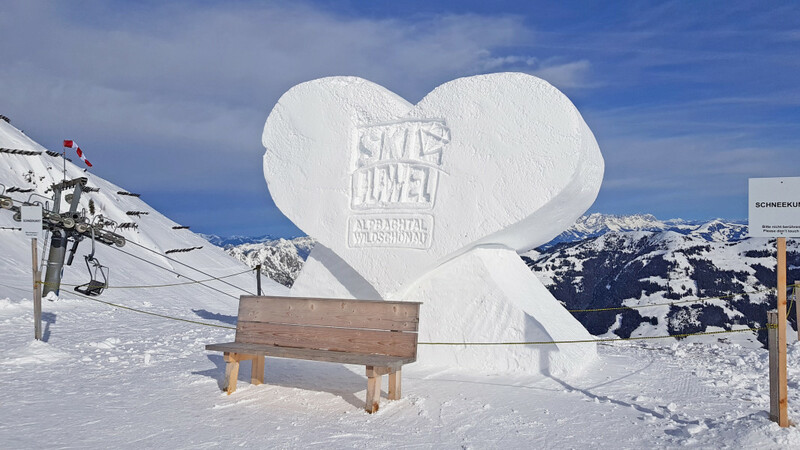 The slope ´Inneralpbachtal´ is outstanding with its 600 height meters that have to be overcome. 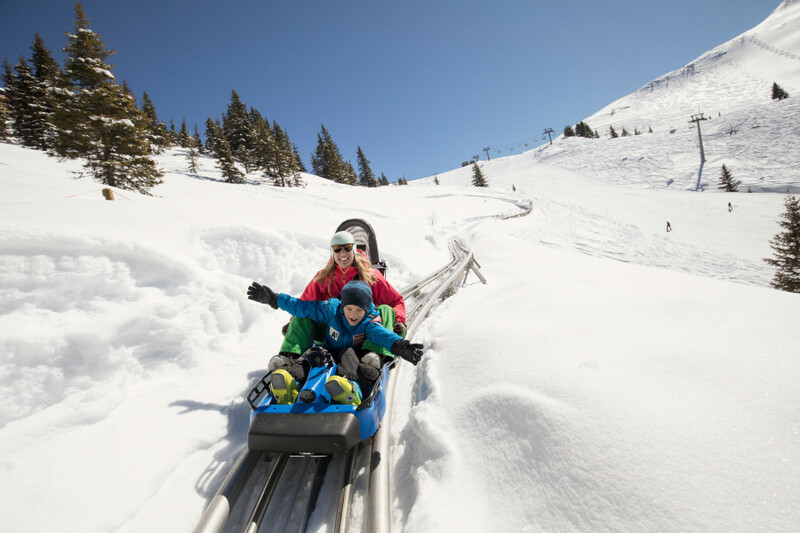 For fun activities away from the slopes, you can actually find eight toboggan runs in the region. The 6,5 kilometers (4 miles) long panorama run at Reither Kogel guarantees fun and an impressive landscape. If you prefer night tobogganing use the runs ´Bischoferalm´, ´Höllenstein´ and ´Brandenberg´. Further, there are some idyllic winter hiking trails. You have the choice, take a walk for 30 minutes around lake ´Reintalersee´ or hike a complete 3 hour tour. There are countless possibilities! The beauty and majesty of the panorama hiking trail at Reither Kogel is something all fans of winter hiking need to witness at some point. 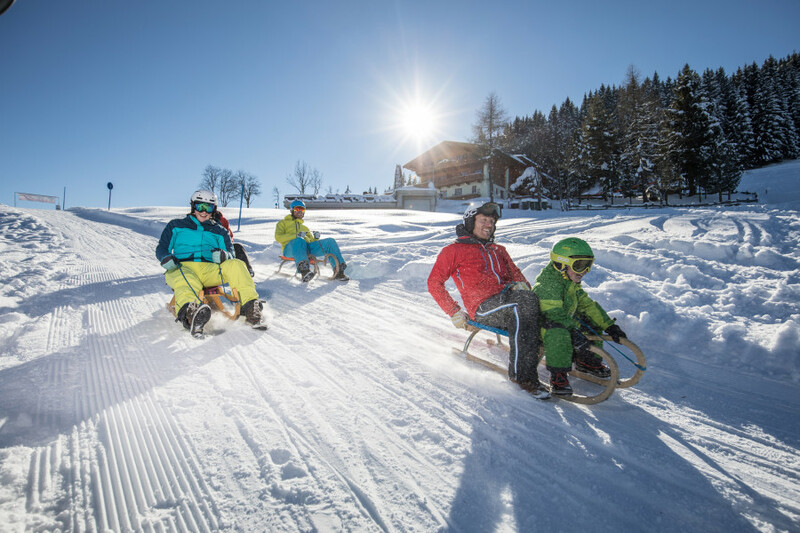 Lean back, make yourself comfortable during a horse sleigh ride through the snow-covered countryside of Alpbachtal. Enjoy your first drink of the day at ´Gasthof Hornboden´ snow bar. Those who plan to continue partying will find their right place at ´Umbrella Six Pub´ or ´Joe´s Salettl´ in Inneralpbach. Alternatively enjoy the bar at the valley station of Widersbergerhornbahn gondola. A Mecca for foodies, the ski resort is also home to Sigwarts Tyrolean wine tavern. It is listed in the Gault Millau since 1985 and it´s among the 200 best restaurants of Austria. Make a trip to ´Pirchner´s Gourmetstube´, where herbs have an enormous importance. ´Fischerstube´ offers an unique location directly at lake ´Reintalersee´. The Alpbachtal is situated in Western Tyrol and is best reached via highway ´Inntalautobahn´ A12, exit Kramsach. Now just follow the signs for Alpbachtal. Alternatively take the way through Germany and pass the lakes Tegernsee/Achenseepass. You can actually save toll charges taking this way! Travel by express trains to Jenbach or Wörgl. There is a free shuttle service to the ski resort available. The next airport is Innsbruck. There are several shuttle services that offer a comfortable transport to the ski resort. Beautiful ski area. Good slopes for everyone (for beginner and epert) the slopes to the talstations are wonderful.Sometimes, it takes to long to get up from the 'talstations' into the ski area. (during newyearsholidays, it took about 30 minutes). Once in the skiarea, you have to wait about 5 minutes at the ski lifts. This is OK.We come back to Alpbach.Suggestion. Make one large ski area of Reith and Alpbach, with some extra slopes. This would make the area more TOP.